Arbitrage betting opportunities happen when there is a difference in odds across several bookmakers. 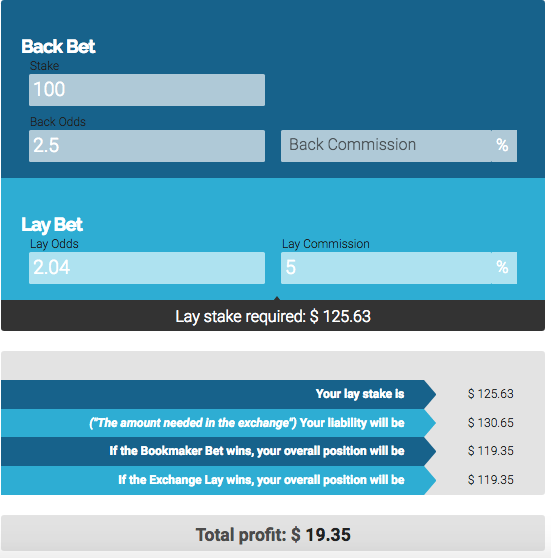 If the back bet odds are higher than the lay odds we can place a bet with the bookmaker and then place a lay bet on opposite outcome with Betfair Australia (the betting exchange). This then means that if the back bet wins, the bookmaker will pay out more than the amount we lose on the exchange and if the bet loses with the bookmaker, we will instead make a small profit on the exchange. This is what we call an arbitrage bet or arbing. Arbitrage happens in all types of free markets, currency exchanges, stock prices, cryptocurrency, and even retail arbitrage. It's a term used to describe buying an item at a low price in one market or website, and then sell it straight away at a higher price in a different market or website By leveraging differences in price across different platforms you can guarantee a profit. Retail arbitrage would be buying nike trainers in a store closing down sale for $25 (50% Off) and then selling the same object on eBay for $50. Arbitrage opportunities are everywhere. The thing about arbitrage opportunities online with things like currencies, trading and betting is that they do not last too long. The market adjusts itself to the correct prices in line with their value. However in between this time and with the right tools to alert you of them, there is enough time to profit from them. With trading you wont stand a chance against the big boy to exploit these arbitrage opportunities. However with the introduction of betting exchanges like Betfair Australia, we are now able to arbitrage the discrepancies between the odds across all bookmakers. And as the bookmakers are individual companies competing with each other, they do not have the same odds. This creates a hotbed of opportunities to make risk free money from arbitrage betting. Opportunities for arbitrage betting usually appear when there is a promotional offer from one bookmaker that increases their odds to try attract sign ups. These are the easiest to play and we simply place a back bet at the uniquely higher odds and then let with on the betfair exchange. "Think of it as buying the bet cheaper as it is a promotion and selling that bet (playing against it) on the betting exchange for a higher price"
Think of it as buying the bet cheaper as it is a promotion and selling that bet (playing against it) on the betting exchange for a higher price. Another way these opportunities arise is if there is any change in the circumstances of the event. This could be something like breaking news that the top player in the team is out or the weather changed drastically at a horse track. When this happens there is usually a window of opportunity as the odds do not all change on all the site at the same time. The best way to find these arbitrage betting opportunities is by using software to tell you when there is a discrepancy in odds on different bookmakers in Australia. I explain exactly how we do this below. How to begin arbitrage betting today! The first thing to note is the bookmakers do not want you doing this, they simply want you to gamble without logic and to back bets from an emotional standpoint. If you constantly exploit every small arbitrage odds discrepancy on a bookmaker they will restrict your account and stop you from placing bets with them. To combat this we show you how to deal with bookmaker restrictions in our matched betting guides. I always recommend you stay away from these arbitrage bets until you have been banned from the promotional market by the bookmaker. The bonus bets they give in the daily offers section are much more valuable than the arbs. So it's important to be smart with our accounts. If you become restricted from the promotional markets by a bookmaker, it's time to then move onto arbs, however eventually they may reduce the amount of money you can place on sporting or horse events and then it is game over with them. Usually its is best to just play the very best opportunities that come your way, not every single 1% profit arbitrage bets you see. If you have any insight or questions, just leave a comment below! 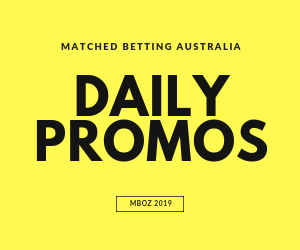 After completing the easy sign up bonus bets for Australia using the no-risk matched betting Australia guide you should be at the very least about $1000+ profit. Here’s 5 ways we sustain profits through arbitrage betting. Arbitrage betting the bonus bets from daily promos & turning them into cash. The most common and profitable way we profit after the sign up bonus bets is to play the best value promos offered each week by bookmakers and lay them on the exchange. I post each offer we profit from every day in the matched betting calendar and Facebook group. We can make a very small loss to leave us with the possibility of gaining a large bonus, we then turn this straight into risk free cash. It’s easier than it might sound. An example; with Crownbet (now Beteasy) at certain times of the season, if you bet $20, you get $1.10 in bonus cash for every point your team scores if they win. So we simply back the favourite and lay the opposite outcome on Betfair Australia to make a loss of less that $1. Then anytime they win we are in for a very nice profit. The risk/reward is insanely in our favour, $1 potential loss to win up to $30 in a lot of cases. Over time we make a lot of cash with these type of offers. There is a new service that posts these offers daily and tells you how to play them to sustain nice profits every week. 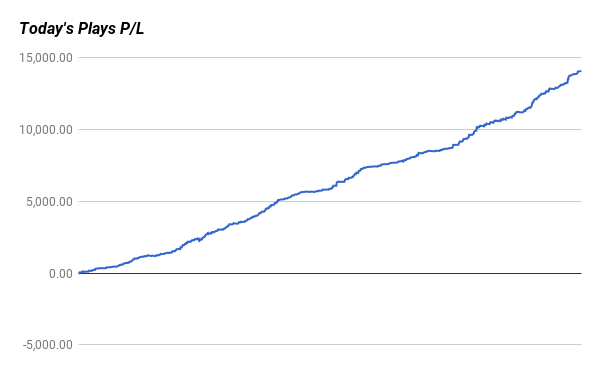 I have been using it and below is the profit and loss graph from since I joined. I now use these guys myself every day and made over $12,000 with them in the last 12 months. You can read the Bonusbank review and see how, the daily profit and loss is there also to give you an idea of what to expect most weeks. This is like regular arbitrage betting where we wait for a game where one bookmaker gives favourable odds and when we back a team on each side of a head to head game on 3 bookmakers to make a small guaranteed profit no matter the outcome. You can use our dutching calculator to find out the amount needed to cover all outcomes and guarantee your profit. This is great however the profits are usually very low <2%, these opportunities also disappear very quickly as the bots get involved and after a lot of people bet on the team the odds move down. So unless you have a large enough bankroll and are very quick it's tough to profit from regular arbitrage betting. However there is a way or guaranteeing profit from arbitraging with 3 outcomes. Below is a recent example of odds for a Bayern Munich soccer game on 3 separate sites for the Win-Draw-Win market. When we place any amount into the total stake box (I did $1000 in my example) you will return 4.13% no matter the outcome of the game. In my case I get $1041.33 back. So a tidy $41 no risk profit. So a nice 4.13% return. Right now you might think you will never have the cashflow to do this but after the sign up bonus offers and weekly promos you should have some nice bankroll to play with. Unless you already blew it on a new phone or holiday! Where do I find dutching opportunities? There is software on Bonusbank that automatically scans all the Aussie bookmakers to find these and other arbitrage opportunities. This adds a lot more value to a site that brings me in over $1k (aud) per month as it is. It's under their software section if you want to check it out on the free trial. Remember you can get a free 7-day trial to test it out before paying for anything. So I would suggest you give it a shot and keeping an eye out for these type of arbitrage betting opportunities. You can get the free 7 day trial using the code ALERTSOZ at the checkout. Right now you have to refresh it yourself and check if there are any opportunities but I believe soon they will and a notification feature that means you will get an email every time there is free money up for grabs! 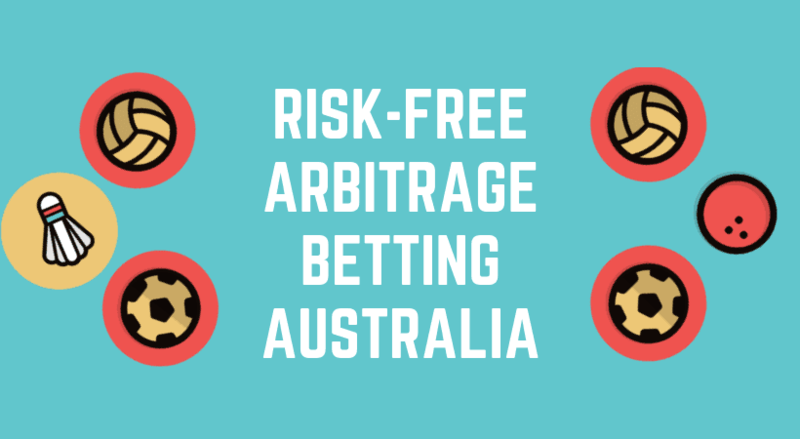 As I mentioned arbitrage betting or “Arbing” is an extension of the technique used to get free money from the bonus bets offered in the no-risk matched betting Australia guide. Betting arbitrages are sure bets. Sports betting arbitrage happens when betting markets on the bookmakers and the betfair exchange have different opinions on event outcomes or sometimes there are simply just errors in the bookmakers odds. Leaving us with an opportunity to back the bet with the bookmaker at above average odds and lay it off at the exchange, guaranteeing a profit regardless of what outcome there is. How To Find Arbitrage betting opportunities? 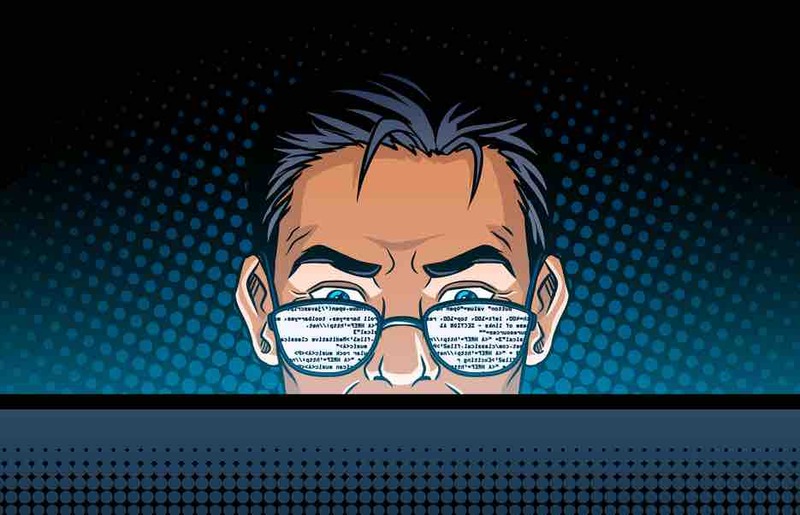 There are lots of sites that have software that will show you when a bookmaker is giving exceptionally good odds for a back bet. Then they will compare it to the odds on the Betfair Exchange and will tell you how much you will win if you back with the generous odds and then lay the bet off on Betfair Australia at lower odds. These are called Oddsmatchers and they constantly scan the market. 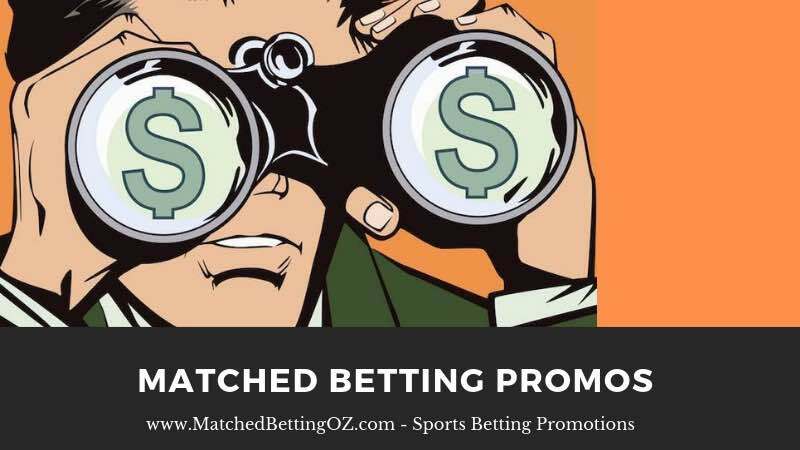 There are two Oddsmatchers I use because I can do both matched betting in Australia and the UK. I have been using them for over a year now and make a lot of money using the service. We use the Oddsmatchers on theses sites to automatically find games that have higher back odds for a game then lay odds. Below is an example of profitable arbitrage betting found for betting.club. The odds to back this outcome of Lyon winning both halves of the game are back @ 2.5 and lay at 2.04. In the calculator in the next section we see our profit if we place these back/lay bets regardless of the outcome. It is important to note that arbitrage betting is best avoided until you finish your sign up bonus bets. Don’t go crazy with them either otherwise the bookmaker will promo ban or limit your account. Once the oddsmatcher finds favourable odds for the arb, use the “qualifier bet” option on the matched betting calculator. So if we were to place $100 on this real life example Arb opportunity for Lyon to win both halves with betting.club and lay it off on the exchange (Betfair) we would make a guaranteed profit of $19.35. For these opportunities alone it is worth trying out the Australian Oddsmatcher for yourself. Almost all bookies in Australia offer competitive odds at different stages so you are best signing up to all the big ones. The best include Sportsbet, Ladbrokes (Horse odds boost) and Beteasy. Just make sure you don’t just keep hammering one bookmaker as they will notice quickly and stop you using their site. Sites like Ladbrokes that do not have many weekly promos are best, if they promo ban you it is not a big deal. They also have something called odds boost, On one horse race a day they boost your odds, if you boost the odds with the bookmaker and then lay the bet on the exchange as per the arb calculator you can make a nice few dollars risk free most days, for 5 minutes work. This is one of the best things about matched betting, you can check your email one morning to find the bookmakers have left a matched deposit bonus offer. Its pretty much free cash. Bookies will often try entice you back to the site by emailing you bonus bets. I often get emailed from Sportsbet and Luxbet with $100 bonus bets. MB TIP: Every few months it is worth asking on live chat for reload bonus, you would be surprised how often they offer you something. On top of this, you will get the offers of enhanced odds. These can be used to back bet at high odds and then laying off the bet for a profit. Beware though, if you only ever use the site for special offers and bonus bets they will stop sending them to you. To avoid this every once in a while you should place random bets and lay them off on the betfair exchange. as explained in the mug bet section of the free ebook. This is not for everybody but if you have a lot of friends who are not exactly computer literate, you could simply explain matched betting to them and then offer to help them to do it with their own accounts. If you can sign them up to all the betting websites and split the profit 50/50 that is at least an extra $1000 per friend you help get into matched betting. It all adds up to some incredible risk free profits. If you are thinking about doing this for your friends and might be using the same computer you should consider getting a VPN for matched betting to keep your details and identity safe. Take Action - Ask A friend If He Wants To Get Involved! If cryptocurrency is not your jam then this wont be for you, but this is a great option for anybody who understands cryptocurrencies, as these sites are new there are often 1-10% arbitrage opportunities across the 4 largest bitcoin sportsbooks. I've been testing this out for a few months and making some nice little BTC profits, I'm not sure how the bookies will feel when I start playing larger amounts and winning but the beautiful thing is that if my account gets limited with a BTC sportsbook I can just create another account. I have begun posting the offers alongside the tutorial on arbitrage betting with bitcoin. 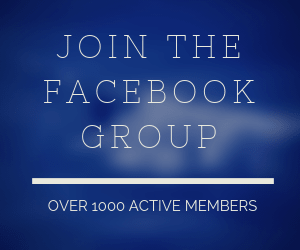 If this is something that interests you then take a look here and join the private facebook group here for where I post these opportunities. As always, if you have any questions about this method just let me know at Dave@matchedbettingoz.com, in the FB group or leave a comment below.